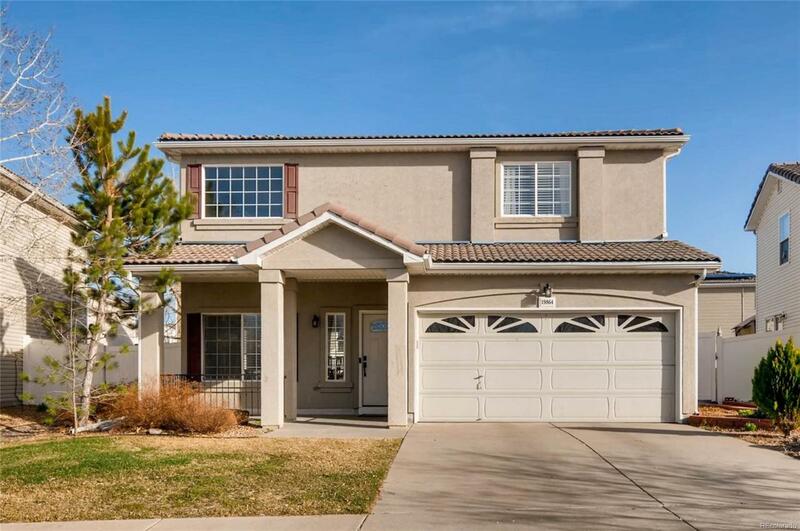 Come see this beautiful contemporary home in Green Valley Ranch. From top to bottom, this property was meticulously updated and cared for. This property features a beautifully remodeled gourmet kitchen with gas range, quartz countertops, and white cabinets with dark luxury hardware accents. A big island with rose gold pendant lighting above is the focal point of this magnificent kitchen! You will absolutely fall in love with this property as it is both beautiful and functional. When you tour this property you will appreciate that every bathroom was remodeled and updated. The owners took their time by adding high end finishes such as, tile floors, luxury vanities, updated showers, and luxury eco friendly toilets.The master suite bathroom is elegant and it features a European luxury shower. With laminate floors throughout, a shiplap accent wall in the family room, excellent lighting details, and a Nest smart home system, this property feels not only contemporary but complete.